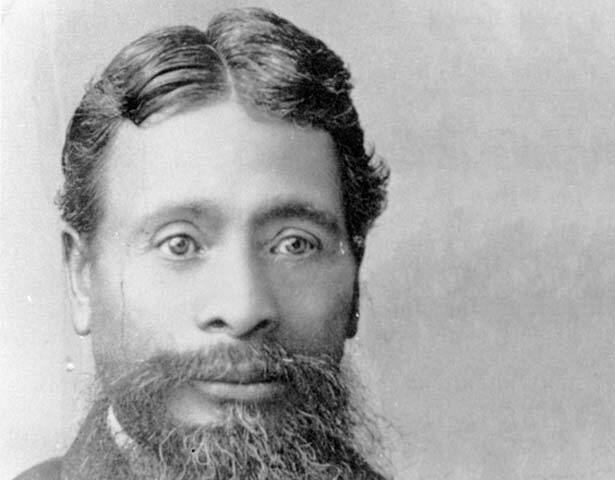 Hirini Taiwhanga, of Ngāpuhi, was born in the Bay of Islands in 1832 or 1833. He was educated at the Waimate mission school and St. John's College, Auckland. He later worked as a carpenter, surveyor and schoolmaster. From the mid-1870s he began to make his mark at tribal gatherings, vigorously speaking out against government policy and demanding that Treaty of Waitangi grievances be heard. He began to attract a following among Māori. In 1882 he took a petition to Queen Victoria. He called for change in the laws that breached the Treaty, and for a Māori Parliament which might restrain the settler government. Taiwhanga and his companions were not allowed to wait on the Queen. Instead they presented their petition to the Secretary of State for the Colonies, the Earl of Kimberley. He denied any Crown responsibility for what happened in the self-governing New Zealand colony. Despite this setback Taiwhanga prepared a second petition in 1883. It included a plea to end the Native Land Court and replace it with committees of chiefs. It also asked that mana (authority) over foreshores and fisheries be returned to Māori. This petition was also dismissed. Taiwhanga was elected to Parliament as representative for Northern Māori in 1887. His main effort was in keeping Maori control over their remaining land. He died suddenly in 1890. Taiwhanga's attempts to promote Maori political unity ultimately contributed to the formation of the Māori Kotahitanga movement by other leaders in the early 1890s. Nō te iwi o Ngā Puhi a Hirini Taiwhanga. I whānau ia ki Pēwhairangi i te tau 1832, 1833 rānei. Ka kuraina ia ki te kura mīhana i Waimate me te Kāreti o Hato Hoani i Ākarana. Nō muri ka mahi ia hei kāmura, hei kairūri, hei kura māhita hoki. Atu i te pokapū o te tekau tau atu i 1870 ka hau te rongo mōna i ngā hui ā-iwi, e whakahē ana i ngā kaupapa here a te kāwanatanga, e whakahau ana kia whakarongohia ngā nawe o te iwi Māori i raro i te Tiriti o Waitangi. Ka nui haere ngā tautoko a te iwi Māori mōna. I te tau 1882 ka kawea e ia tētahi pitihana ki a Kuini Wikitōria, e karanga ana kia hurihia ngā ture ka takahi i te Tiriti o Waitangi, kia tū tētahi Pāremata Māori hei tāmi i te apu whenua a te kāwanatanga. Kāore i whakaaetia kia tūtaki a Taiwhanga mā ki te Kuini, tūtaki kē rātou ki a Eara Kimberley, te Hekeretari mō ngā Koroni. Ka whakahē ia i te kōrero e mea ana he kawenga ō te Karauna mō Niu Tīreni, ki tāna, kua tū kē a Niu Tīreni hei koroni motuhake. Ahakoa ēnei pōraruraru, i te tau 1883 ka taka a Taiwhanga i tana pitihana tuarua. Kei tana pitihana tuarua e tono ana kia whakamutua te Kōti Whenua Māori, mā tētahi rūnanga rangatira tōna tūranga hei whakakapi. I tua atu ka tono kia hoki te mana ki te takutai me ngā tauranga hī ika ki te Māori. Ka whiua anōtia tēnei o ngā pitihana. I te tau 1887 ka pōtitia a Taiwhanga hei Mema Pāremata Māori mō te Tai Tokerau. Ka pau tana kaha kia puritia e te Māori ōna whenua. Nō te tau 1890 ka mate ohorere ia. He wāhi nui tō ngā mahi a Taiwhanga ki te whakaohooho i te iwi kia whakakotahi; whāia, ko te whakatū a ētahi atu i te rōpū te Kotahitanga i te tīmatanga o te tekau tau atu i 1890. We have 40 biographies, 5 articles, 2 comments related to Hirini Taiwhanga. Kia ora, Drena - it looks like he was interred at Mokoia: https://paperspast.natlib.govt.nz/newspapers/NZH18901203.2.22?